GraceLinBlog: Come to My Book Club! 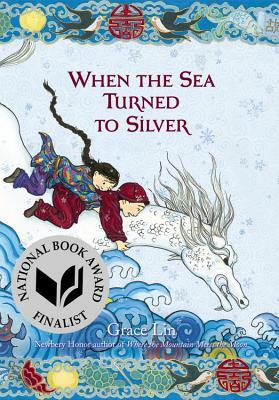 The Foundation for Children’s Books (FCB) invites you to a special event for adults and kids featuring Newbery-Honor winner Grace Lin. We’ll talk about Grace’s wonderful new novel, Starry River of the Sky, with the author herself. That’s pretty amazing! 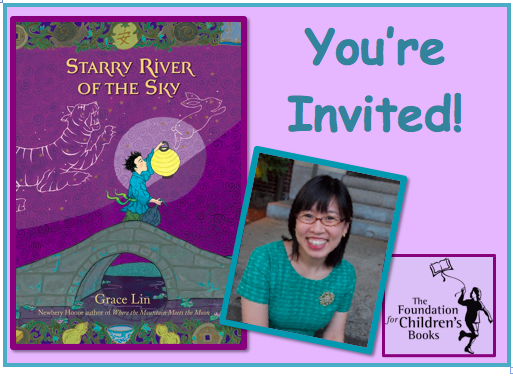 We’ll hear about how the FCB brings authors like Grace Lin into under-served schools in Boston. And we’ll enjoy some awesome refreshments— because all book groups have refreshments! Who: We hope that adults and kids in grades 3-7 will join us. Adults are welcome without kids, but kids should come with an adult. 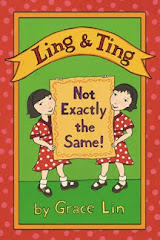 When: Sunday, December 2 from 1-3 p.m.
What’s Next: Buy the book and start reading! You’ll also be able to buy the book (and others) at the event, but it will be more fun if you’ve already read it. Bring your books to have them signed! 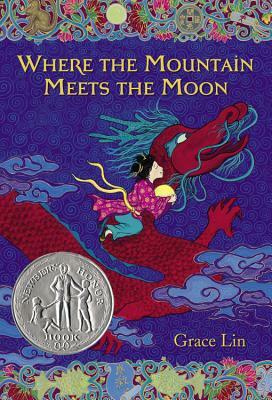 RSVP: Email the Foundation for Children’s Books at admin@thefcb.org or call us 617-469-7222 by Wed, 11/28.